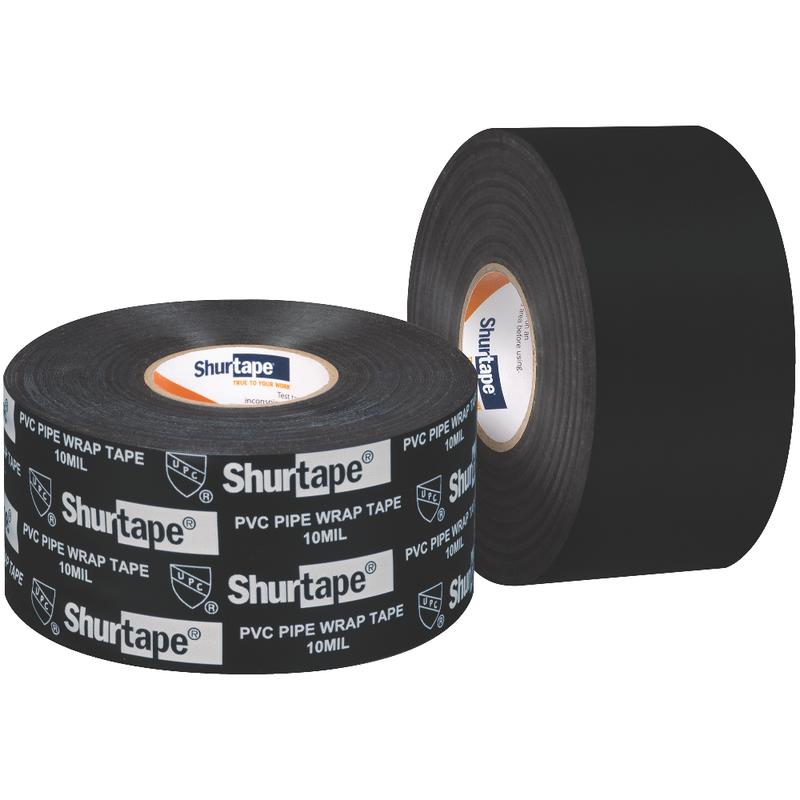 From masking and wrapping to marking and shielding, Shurtape polyethylene and PVC film tapes deliver uncompromising performance. Line set tape offering UV resistance and a variety of colors. 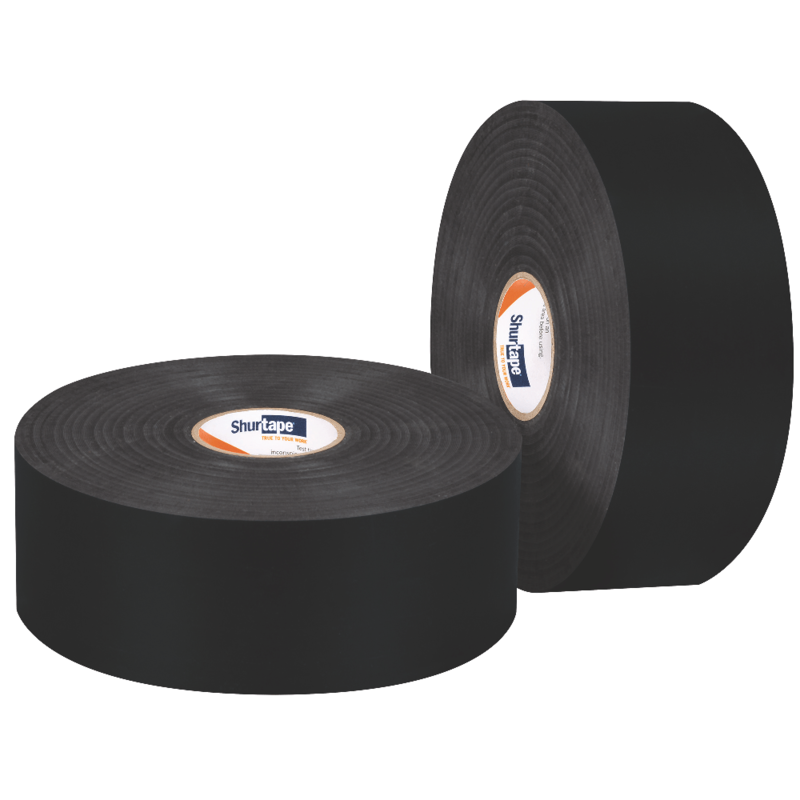 UV-resistant SPVC line set tape, available in a variety of colors, used for general purpose floor, lane and aisle marking, color-coding and identification applications, as well as in the HVAC industry to wrap line sets, seam Rubatex and Armaflex, and insulate air ducts and underground pipes. VP 410 is engineered with a non-corrosive adhesive and flexible backing; can be used in extensive temperature, moisture and humid conditions; and meets OSHA color-coding requirements. 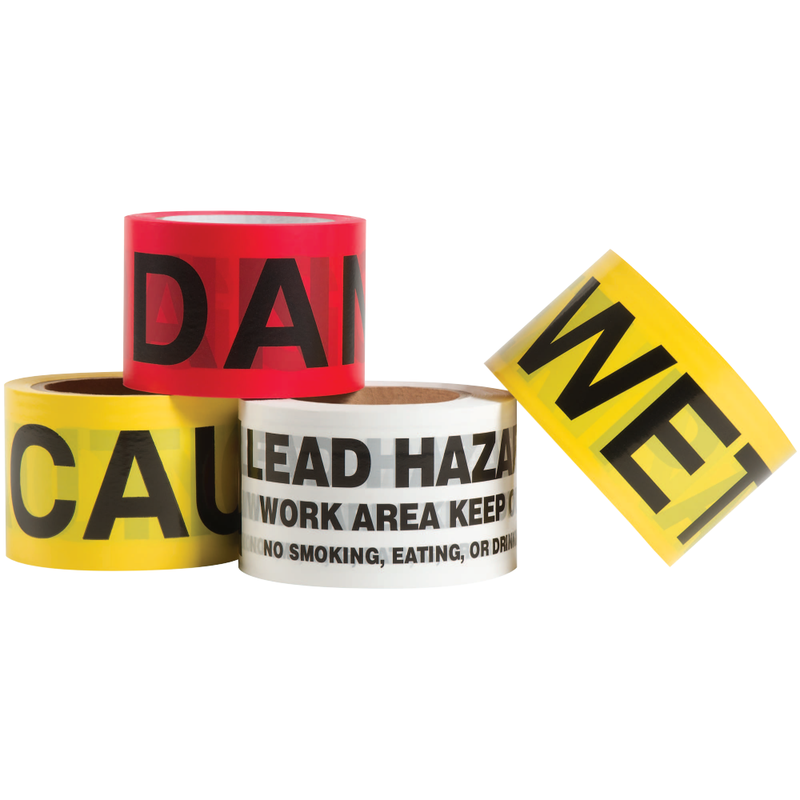 Non-adhesive barricade tape available in a variety of warning messages. 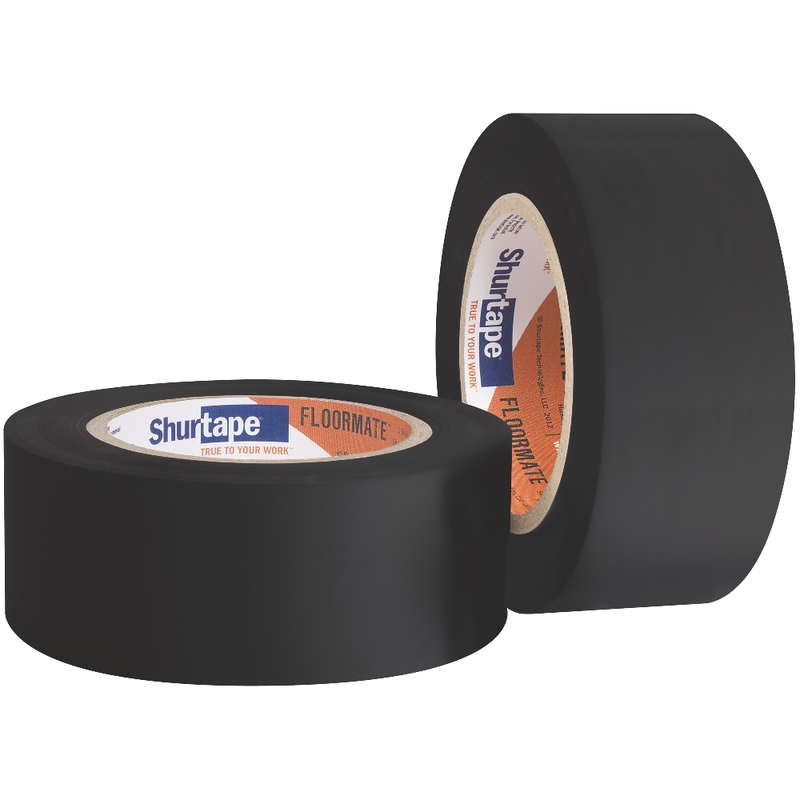 FloorMate® Temporary Floor Tape for use on properly prepared and cured wood floor finishes. 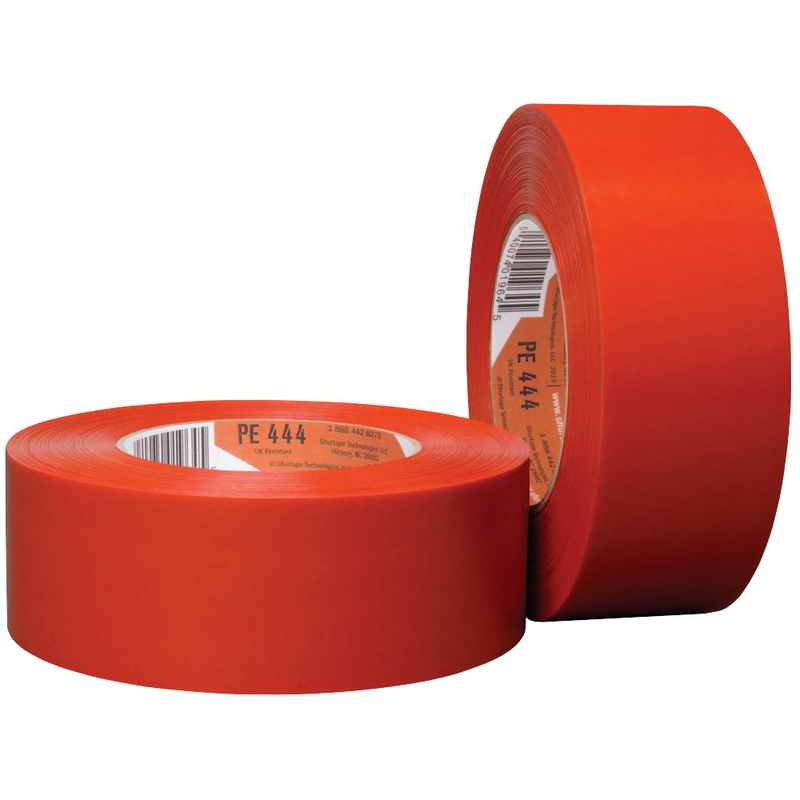 Corrosion-resistant PVC pipe wrap tape. 20 mil, corrosion-resistant PVC pipe wrap tape. 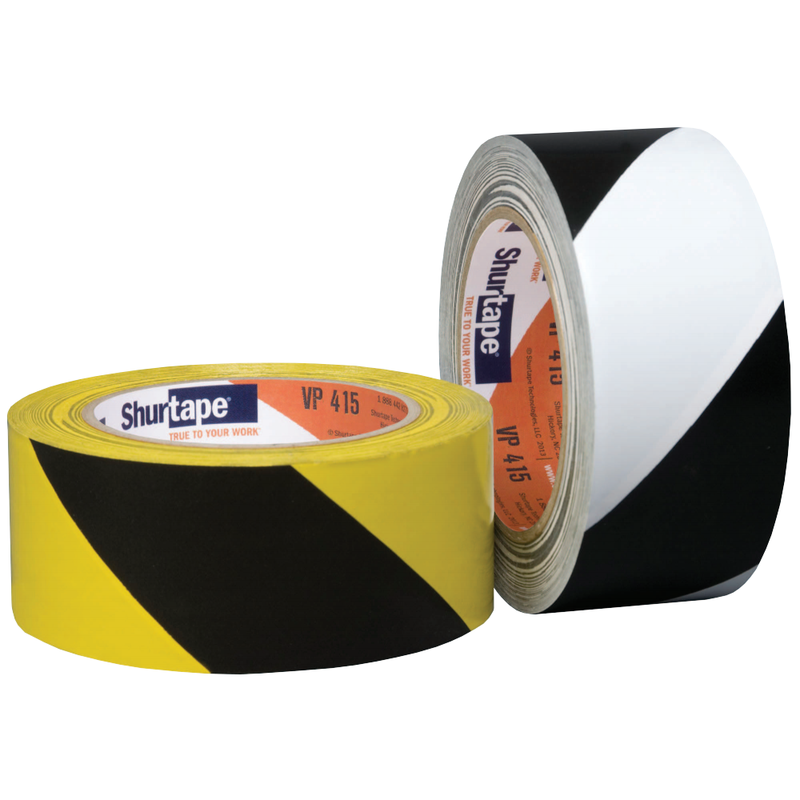 Warning stripe tape; meets OSHA requirements for hazard markings.